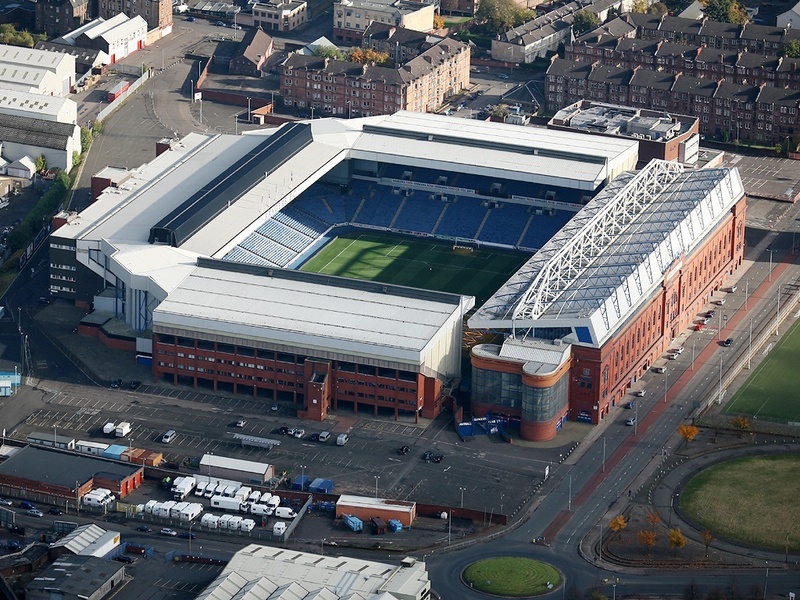 Ibrox Noise: "Unceremoniously dumped" - has Gerrard got key call correct? "Unceremoniously dumped" - has Gerrard got key call correct? There have been many falls from grace in Scottish football over the years, but more subtle ones tend to slip by unnoticed. And when it comes to Nikola Katic, if ever a Rangers player went from fan-favourite and hero to complete forgotten man, this would be it. This guy was loved by the fans and an absolute first-pick. He put his body where it hurt, fought like a lion, and while he was prone to the odd error, he was a developing defender and a huge force for good at the back. Then we signed Joe Worrall and that was the end of Katic. It really is as blunt as that – sure, the Croat has had a few fleeting starts since the Forest lad came on loan, but he’s not only not on the bench any more but isn’t even making the squad half the time. We did a piece on our friends at the Rangers Report’s analysis of how Worrall’s stats were indeed impressively superior to his team mate, but it doesn’t alter how Katic got dumped so dramatically despite seeming to be a Gerrard favourite. On merit. We similarly covered how Worrall himself has lost his place, and is now benched more often than not, and equally addressed our concern that Connor Goldson’s form has been patchy at best recently. Increasingly solid at Tynecastle, after a slow start, Goldson’s form has dipped more than we would like it to, and yet he has played almost every match this season regardless. McAuley we like in theory but still haven’t seen enough to form a global opinion. But it still comes back to Katic – that this prize asset who seemed to be growing into a £5M then £10M defender has been unceremoniously dumped. We’ve discussed how Gerrard may have suggested why – by revealing Katic was signed for the future and is actually ahead of schedule, but whatever the details are, surely your best players, especially the ones you paid £2M for, deserve more time in the team? McAuley showed his limitations last night when he was left with the ball at the back and didn`t know what to do with it .His lack of pace when the sheep broke on him was worrying too.He`s probably a better player away from home when we might be under pressure from high balls and long punts .I may be in the minority but at home I would rather play Worrall or even Katic. Did it not occur to you that there was no player available to pass it to,he wasn't the only player to hit it long,the sheep were tight on every player. Yes mate I pointed this out a couple weeks back anyone with pace especially Forrest from the tramps and Christie we are gubbed. Exactly mate we paid hard cash from our season book money to get him as one of our own players. Then dropped like a hot potato to make way for a loaned player If it was me I would have spat the dummy out mate. Katic was sorry is a great signing. I hope he gets his chance again soon. We're not short of strikers get young Andy dallas or Dapo medupe on against Dundee and Hamilton bet they score goals. On the first showings and given the the lad is a Croat He showed his excitement and gratitude to be at Rangers I love the lad he is prone to the occasional mistake but so was Rio Ferdinand ...I think this lad is definitely one for the future but he needs to play more now . Goldstone and he are a good partnership Worrall on the other hand is a selfish player who is very talented but can often lose concentration. MC Cauley is living his last Football Dream playing for us and wearing the blue so he will give his all. I think Katic needs to play more I hope SG and his team know what they are doing with him for Rangers and his sake . The same goes for Barasic!! What is it with our team. Players come to our team with a previously great rating, then a few months in at Rangers, the form dips. The goals dry up. Yes, I mean you, Kyle. Performance dips (Katic) or injury ruins them. I sometimes think if it wasn't for bad luck, we'd have no luck, at all.